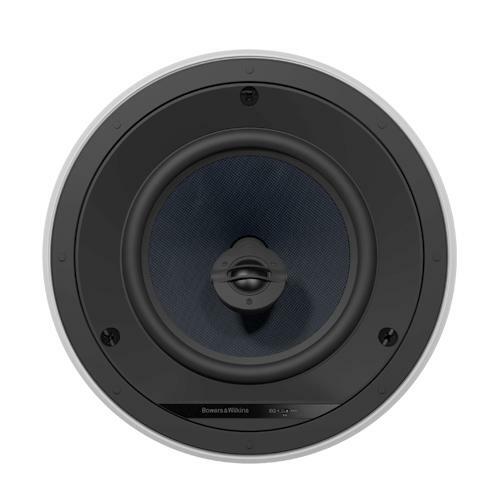 A high performance ceiling-mount speaker featuring a 200mm (8in) Aramid Fibre cone bass/midrange driver with a rigid die-cast chassis, and a Nautilus swirl-loaded aluminium dome tweeter that pivots for adjustable off-axis treble response. A 30mm coil and 100mm magnet make this an incredibly efficient and reliable speaker, with outstanding sound quality and a maximum amp power of 150W. Other features include superior crossovers components, gold plated terminals and a three-position EQ switch.